Nailpolis is approaching a million fans on Facebook, and we're celebrating! Show us your party nail art and you could be featured on our Facebook cover photo. Everyone who participates gets a limited edition badge and a free $5 nail polish gift certificate! 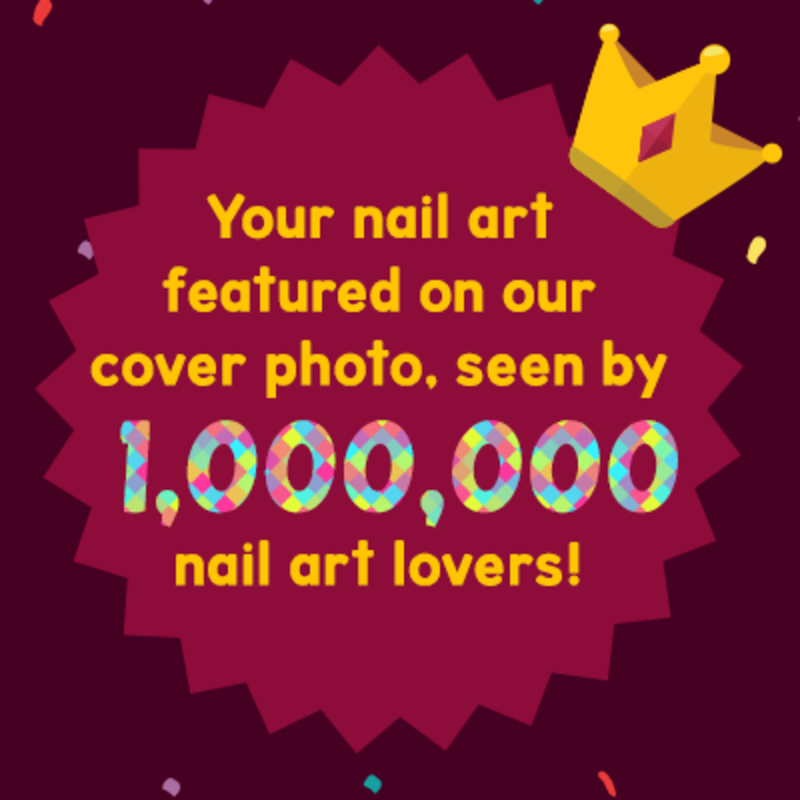 In celebration of Nailpolis reaching 1,000,000 Facebook fans, we're hosting a nail art contest! 3 winning designs will be featured on our Facebook page cover photo. To enter, create a new party themed nail art and upload a photo of it. Everyone who celebrates with us will receive (1) a limited edition 1,000,000 badge and (2) a free $5 gift certificate to use at Live Love Polish (launching mid-August), an online nail polish store carrying your favorite nail polish brands, including China Glaze! 3 winning designs will be selected by the Nailpolis team. The designs will be featured on Nailpolis' Facebook cover photo on the day we reach 1,000,000 Facebook fans! Additionally, the winners will also receive a free $20 gift certificate to use at Live Love Polish. Please create a new and original design for this contest! You must be a Nailpolis member to participate. If you don't have an account with us yet, you can sign up. It's 100% free. Contest ends on August 27th, 2014 11:59PM EDT. Who are the judges of this contest? The Nailpolis team will be the official judges of this contest! How do you pick the winning designs? theme: how well does your nail art represent Nailpolis and the theme of partying/celebrating? originality: please create a new design for this contest! photography: you don't need a professional camera, but please try to take clear photos under natural lighting! How long will the winning designs be featured on Nailpolis' cover photo for? If my design wins and get featured, can you also tag my Facebook page? Yes! We'll always tag your Facebook page if you have one. Remember to add your Facebook url to your profile settings. If you don't have a Facebook page, we will credit you by your Nailpolis display name. Don't forget, we always link back to the original nail art on Nailpolis! You will be able to use it on Live Love Polish, an online nail polish store launching in mid-August. Live Love Polish will carry your favorite brands such as China Glaze! Is there a minimum I have to spend before my gift certificate will work? No. It is valid on orders of any amount! When and how will I receive my gift certificate? You will receive your gift certificate within a week after the contest is over. It will be sent to the email address associated with your Nailpolis account. What if I'm not living in the United States? Live Love Polish offers international shipping, so your gift certificate will work even if you're not living in the United States! 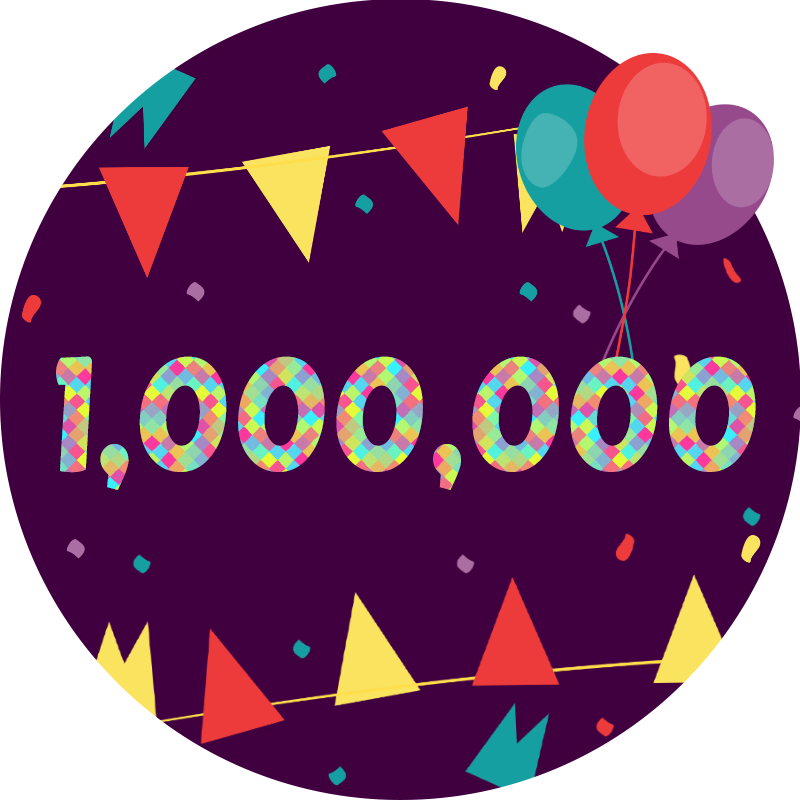 All participants will receive a limited edition 1,000,000 badge! 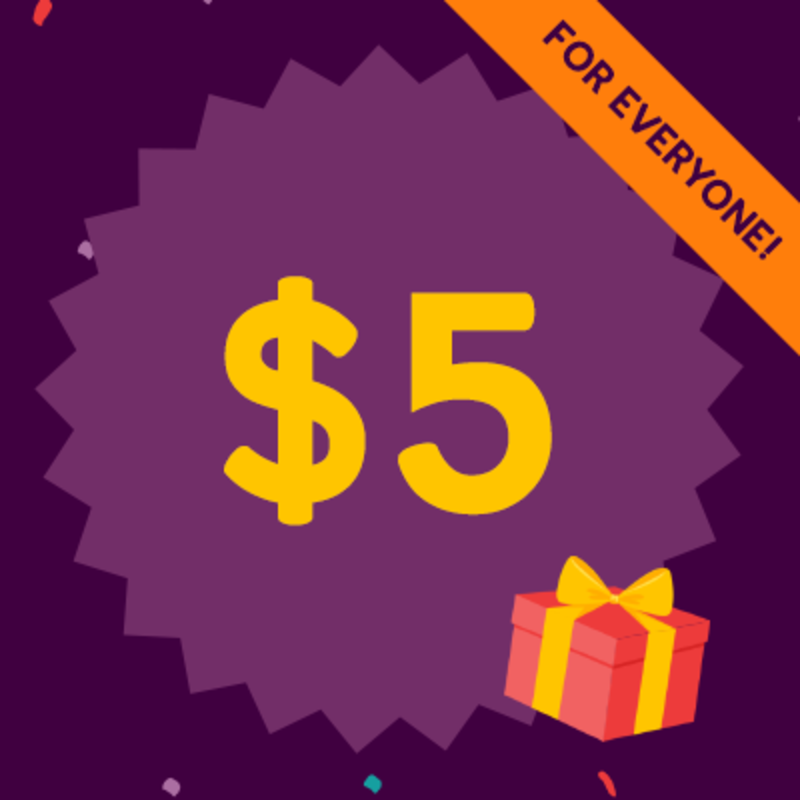 $5 Gift Card - FREE NAIL POLISH FOR EVERYONE! Everyone who participates will win a $5 gift card to use on Live Love Polish, an online nail polish store launching in mid-August. 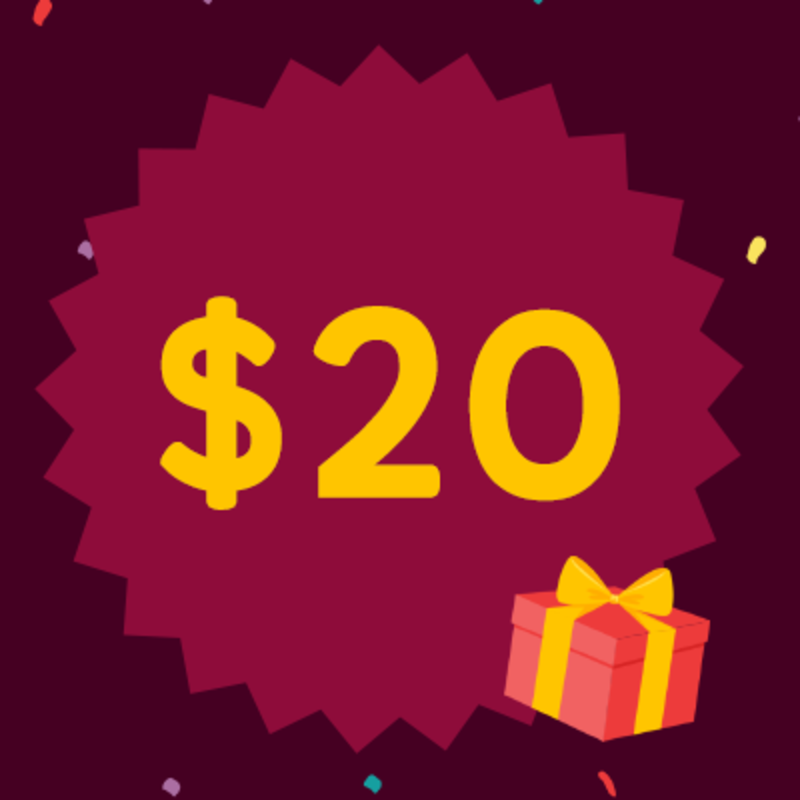 $20 Gift Card - 3 Lucky Winners! 3 lucky winners will win a $20 gift card to use on Live Love Polish, an online nail polish store launching in mid-August. Cover Photo Feature - 3 Lucky Winners! 3 winning entries will be featured on our Facebook cover photo for at least 30 days, seen by a million nail art lovers!